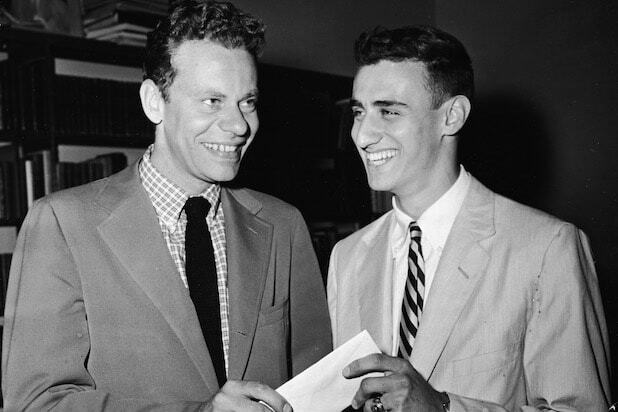 Charles Van Doren, the disgraced ’50s-era quiz show contestant who was found to have received the answers in advance, has died. He was 93. In the 1950s, Van Doren was involved in a quiz show scandal in which he testified before Congress that he had been given the answers in advance to “Twenty-One” and that it was rigged. Van Doren’s story was the subject of Robert Redford’s film “Quiz Show,” in which he was portrayed by Ralph Fiennes. Van Doren rose to fame during the TV game show craze in the mid-to-late 1950s. As a handsome, well-spoken and well-educated individual with natural screen presence, he was approached by the producers of “Twenty-One” to defeat a long-running champion of the show, Herb Stempel, as the show’s ratings began to slump. For 14 weeks, Van Doren appeared on the show and won $129,000, or over $1 million in today’s dollars, and became a celebrity. He appeared on the cover of Time Magazine and after his loss on “Twenty-One,” signed a contract to appear on NBC shows for three years. On the show, Van Doren would appear in a supposedly soundproof booth and would answer incredibly difficult trivia questions on everything from countries that border the Black Sea to Henry VIII’s wives. But the show was a hoax, and after skepticism grew, Van Doren testified before Congress on Nov. 2, 1959 that he had been given the answers in advance and was coached on how to build drama or even learn to mop up sweat. The ordeal left Van Doren disgraced and caused him to lose his job at Columbia. He took on a pseudonym as a writer and editor for Encyclopedia Brittanica and wrote several other books. In a 2008 tell-all New Yorker article, Van Doren revealed that when he was approached to compete on the game show “Tic Tac Dough,” he did not even own a television set.